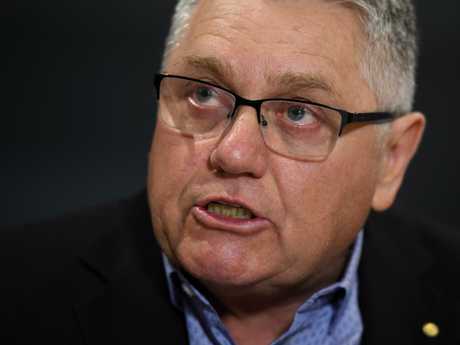 RADIO host Ray Hadley has responded to systemic bullying allegations with an apology saying he "never meant any harm". The Daily Telegraph revealed Hadley's former panel operator Chris Bowen wrote a lengthy Facebook post which he said detailed years of "systematic bullying". Mr Bowen said that he suffered mental health problems after the death of his parents and the "inexcusable behaviour" and "out of control sheer rage" that was directed at him weekly by Hadley. This morning, Hadley admitted there were times their relationship was volatile. "He was a young bloke, full cheek and full of ability, through our years together we became very close - probably more like a father and son relationship and given what he had to deal with personally," he said. "I tried to help him as much as I could. "One of the saddest parts of my broadcasting life was the end of our relationship. That came a couple of years after I was the master of ceremonies at his wedding, where he said some very generous and kind things about me, and our relationship. "That was a very proud moment to see him get to that stage of his life despite the enormity of his battles." Mr Bowen today posted a text exchange with Hadley after the former producer called Macquarie Media Chairman Russell Tate to complain of the alleged abuse. "That's your entire problem - you thought you had the ability to go straight to the chairman over everyone's head," Hadley wrote. "You've learned nothing - no more texts thanks." 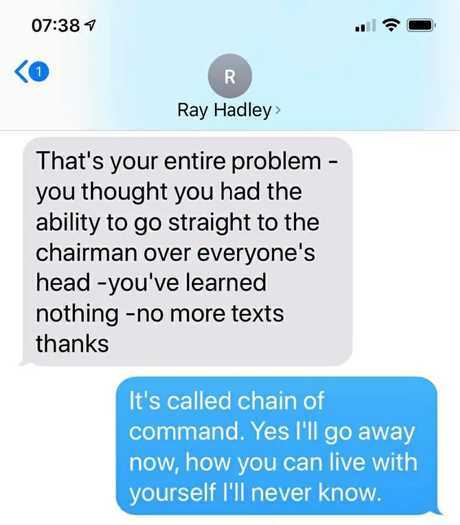 Mr Bowen replied to the message telling Hadley "It's called chain of command". "Yes I'll go away now, how you can live with yourself I'll never know," he wrote. 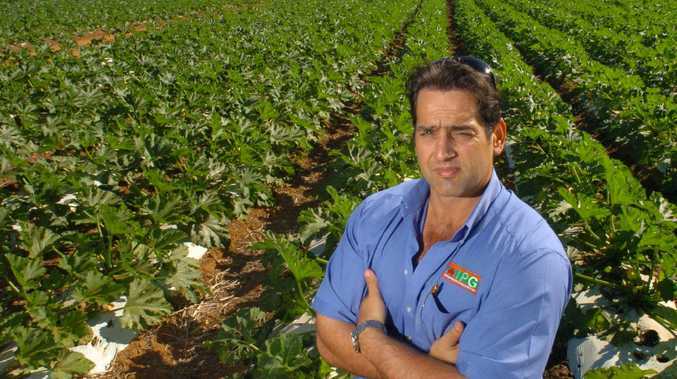 A Macquarie Radio spokesman told The Daily Telegraph the company was not aware of any complaints related to this matter and invited Mr Bowen to raise them directly with the station. 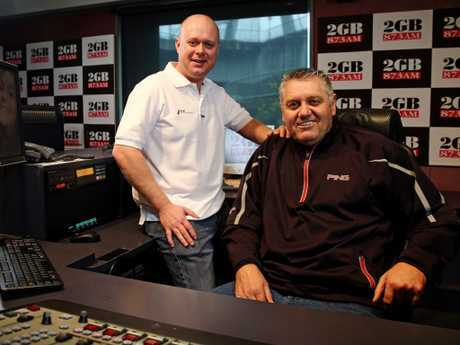 Former producer Chris Bowen with the broadcaster Ray Hadley. Hadley continued his apology saying that he was regretful he was not more supportive and he was sorry for any hurt he has caused. "I'd like to think as part of his recovery we could catch up into the future and talk about all the good times we've had over the years, there were plenty of them," he said. "The bottom of the story is he is a fairly decent person who is having some struggles and I wish him well." Mr Bowen wrote that he "suffered mental health problems" after the death of his parents and "16 years of intense bullying" by a work colleague at 2GB, which is owned by the Nine Network. "I was subjected to vile and inexcusable behaviour,'' he wrote. "Out of control sheer rage. It was directed at me at least weekly." Bowen did not name Hadley­ in the post, but wrote "you don't need to be Sherlock Holmes to work it out". He confirmed the post was referring to Hadley when contacted­ by The Daily Telegraph on Sunday. Hadley said he had been made aware of the posts but added: "I won't be saying anything about it out of respect for his mental health issues." 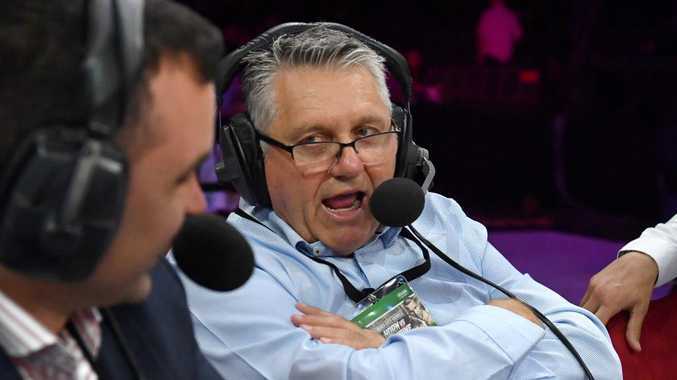 Four years ago Hadley was accused of being a "psychotic bully" by Macquarie Radio's chairman Russell Tate after the broadcaster was recorded launching a tirade at producer Richard Palmer. Hadley was suspended before the matter was settled out of court. Macquarie Radio chairman Russell Tate accused Hadley of being a “psychotic bully” four years ago. In his post on Friday Bowen wrote that he had complained in 2008 and "was removed from the show for a short period­ after sending an email about my concerns". He returned to work with the talkback host for a further eight years before moving to work with Ben Fordham. It is understood the pair were so close that Hadley was MC at Bowen's wedding. Bowen had said working for 2GB was "a dream come true" but he claims the bullying continued for 16 years until he quit two years ago. "Obviously I was a slow learner," he posted. "I also took part to an extent in this behaviour. When you're dealing with someone you've put on a pedestal since the age of eight, someone who can pick up the phone and ring the prime minister, opposition leader or police commissioner on a whim, someone that an entire company relies on for a significant part of its profit - well, you tend to just do what they say. "I've heard this person blame their behaviour on a culture that was around in the '80s. Which is just a load of crap." Bowen said he spoke out because: "I want bullying to stop." 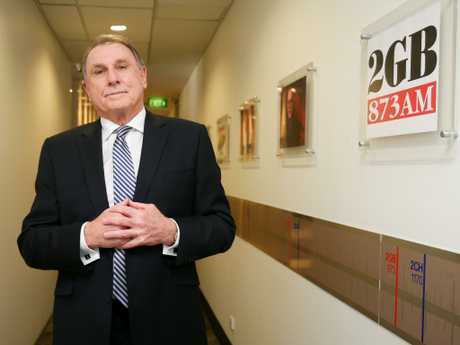 His post received supportive comments from some former­ 2GB colleagues and well-known radio names. Ex-newsreader Joel Labi wrote: "It could be such a toxic environment and no one had the guts to say anything." A spokesman for Macquarie Radio said: "All staff at Macquarie Media are required to adhere to a workplace behaviour policy, which includes a responsibility to maintain a safe working environment and report any matters of concern." The station is also locked in tense negotiations with Alan Jones about his future.